What The GOP Can Learn From Jack Kemp’s Legacy? 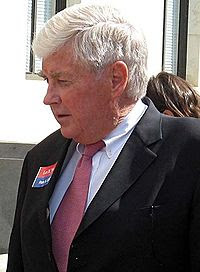 This past weekend, Jack Kemp succumbed to cancer in Bethesda, MD. Before politics, Kemp was drafted into the NFL in 1957 at a time when integration was just taking root. As a player, he was often privy to the mistreatment of his fellow African American players. His early experience of observing the exclusion of his minority teammates shaped his future political platform. Kemp served in the House from 1971 – 1989 and was seen as a rising star in the GOP during the Reagan years. He eventually ran for president against Bob Dole and George H.W. Bush in 1988. As a politician, he urged his party to reach out to minority voters. In a 1997 appearance on Meet The Press he called race “the single most important issue facing America at the turn of the century and the millennium. He continued by adding, “I would like to see an America where black and white actually listen to each other. I want to see the Republican Party in this debate.” Although he ran unsuccessfully as the Vice President nominee with Bob Dole on the Republican ticket in 1996, the Republican Party made a concerted visual effort at the following convention in 2000. Although Kemp considered himself a “bleeding-heart conservative,” he understood the changing demographics of the country and that the party’s survival depended on change and inclusiveness of all Americans in the political process. The Republican Party was able to show a united front during the 2008 convention, although all were not impressed with the vice presidential nominee, Governor Sarah Palin. Since the election, the divisiveness is startling for a party which stood united just months earlier. If GOP continues to follow the conflict-ridden message of McCain/Palin campaign, the ideas of Rush Limbaugh, the discordant points of RNC Chairman Michael Steele or the nix proposals of Cantor, then they may likely become a remnant of the Whig Party of 1833-1856. They not only oppose the president, they also oppose each other. This weekend also marked the kick-off of the townhall meeting tour presented by the National Council For A New America with Rep. Eric Cantor (VA), Former Governor Jeb Bush (FL) and Former Governor Mitt Romney (MA) in an effort to be re-engaged with voters. Saturday, Cantor noted that the Republican Party has to find a way to attract the younger voters and Hispanics. During the 2008 election, Republicans had not pursued the younger voters because they were convinced that they would not turn out to vote, therefore, that would be a waste of time. In addition, they took the Hispanic vote for granted. Cantor failed to mention other key groups like women, African Americans (or any other minority group) older voters, etc. The Wall Street Journal informed that the 2008 election was the most diverse electorate in the history of the US with nearly one in four votes cast were by nonwhites with the nations’ three largest minority groups – Blacks, Hispanics and Asians casting unprecedented shares of the vote. Cantor, as well as, other Republican politicians seem confused with what has happened to their party especially as it relates to minority voters. The phrase of “we’re the party of Lincoln and Teddy Roosevelt” resonates from their lips frequently as if the minority voter should embrace them for this fact. They fail to forget that they are also the party which embraced the Dixicrats in the 1940s and did not support civil & voting rights in the 1960s. Also, in 1980, Ronald Reagan described the Voting Rights Act as “humiliating to the South.” Reagan exploited the behavior of the exodus of Southern whites from the Democratic Party to the Republican Party during the 1960s – 1970s. This way, Reagan was able to benefit from racial polarization. Keep in mind I’m a Democrat and a boxing fan, so I don’t necessarily want to the Republicans to make a comeback, but I do like a see a good fight. When I was asked to endorse this candidate, I paused and thought ‘really, you want my support’? After much deliberation, I realized that I’m probably the best person to give this endorsement since I’ve known the candidate for Lumbee Tribal Council, Eric R. Locklear, since pre-school. 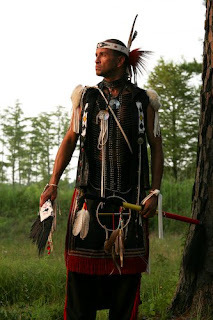 Mr. Locklear was born and raised in Pembroke, North Carolina – home of the Lumbee Tribe. Upon graduation from Guilford College and a Masters in Education from North Carolina State, he spent his career with the American Indian Tribal Government Administration in Washington, DC. Working with this federal government agency, he was able to gain a network, as well as, a national perspective on tribal affairs, which will be beneficial in the Lumbee Tribe obtaining federal recognition. Why Is My Birthday So Special? After I turned 30, I’ve jokingly said each year thereafter that I don’t celebrate my birthday anymore and treat it like any other day. This year, my approach is much different.